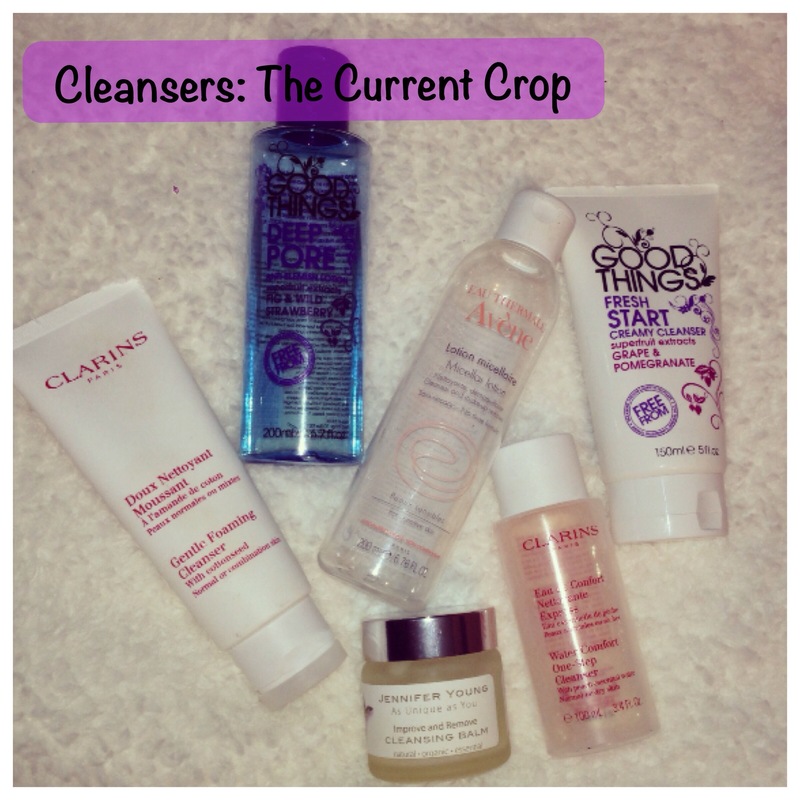 Cleanser: The Current Crop – The Beauty Spot. Over the few years I’ve tended to reach for the same cleanser over and over. A quick facial wash that will remove my makeup with ease and makes my skin feel squeaky clean. However, recently I’ve been trying out a few different types of cleanser to break up my routine a bit and to hopefully improve my skin. I will most likely do a more in-depth post about the struggles I’ve had with my skin in the new year, but for now I just wanted to talk about what cleansers I’m tending to use on a semi regular basis. 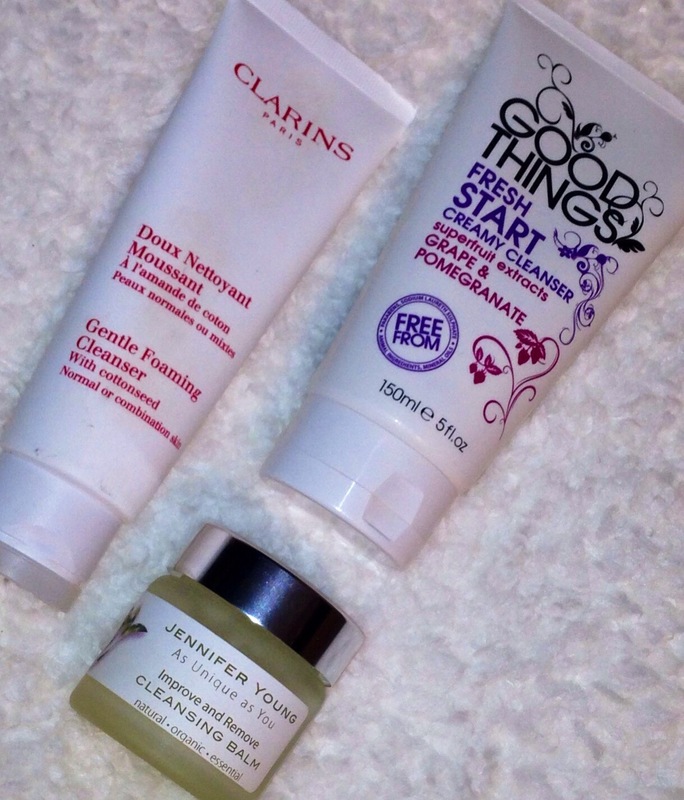 I still use my favourite facial wash, Clarins Cottonseed Gentle Foaming Cleanser. This has been my holy grail for years. It removes even the toughest eye makeup and full coverage foundations but still makes my skin feel super cleansed underneath. For really heavy duty makeup I have double cleansed with this in the past, but recently, for my second cleanse I’ve been reaching for Jennifer Young Cleansing Balm. I’d seen many a YouTuber rave about cleansing balms, but I didn’t think they would suit me as I don’t really like cleansing on dry skin. However, once I tried this as my evening second cleanse, I literally fell in love. I would definitely say this has been one of my beauty discoveries of 2013. Its a rich balm that just melts into a delicious fragrant oil texture so that you can massage into your skin for as long as you feel the need to! It almost feels like it instantly relieves stress and comforts me and my skin. Massage is obviously known to have these sorts of powers, but even in a quick two minute treat after removing makeup, this certainly makes me feel good! I also picked up the Good Things Creamy Cleanser a few months back after seeing it reviewed on another blog. I tend to use this before I get into the shower in a morning. The superfruit scents are so strong that they really wake me up and give me a boost whilst I’m still half asleep at 5.30am! I doubt I will repurchase this as I’m not liking the texture as much as a wash or a balm. Water and Micellar cleansers have taken the world by storm recently and I’ve currently got a few on the go, mainly for lazy bedtime removal. The one I’ve used for years is the Clarins Water Comfort Cleanser. This contains peach extract and smells divine! This is better for a slightly drier skin, but they do offer a mint one for oilier complexions. I always make sure I take this away with me for a quick refresh on the beach or to use as a toner, either way it’s never too far away from me! 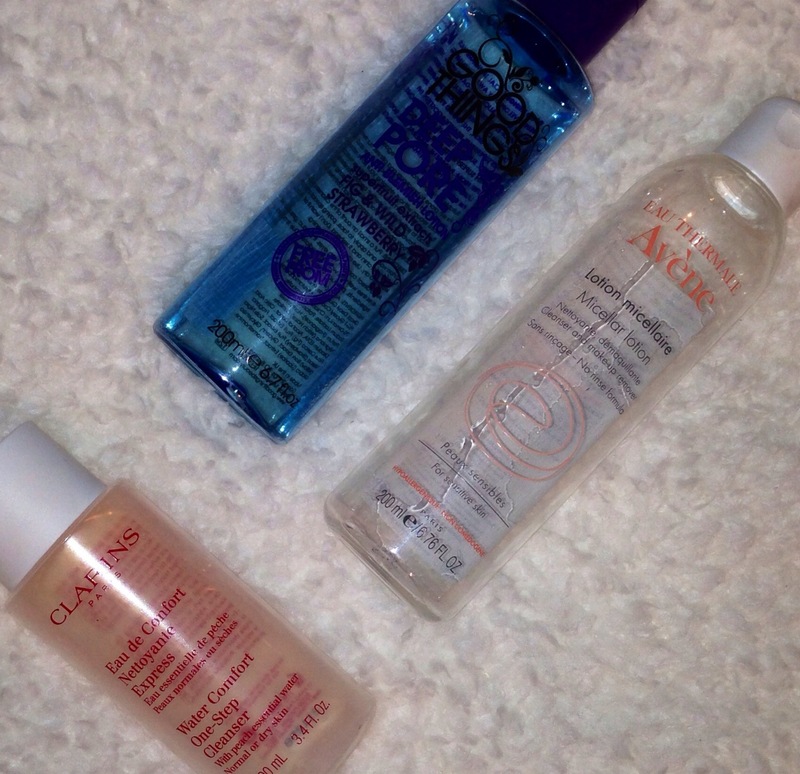 I’m coming to the end of my Avene Micellar Water, so I’m trying to make it last! I’ve enjoyed this one because it’s so gentle on the skin and smells so clean. I don’t use a Micellar to remove eye makeup, but this does a great job at removing my full coverage foundations. I just wish you could buy larger bottles! The final cleanser I dip in and out of is another from Good Things. This time it’s their water based Deep Pore Remover. This again has all the amazing super fruit qualities that the cream cleanser has, but in a water based product. I do like this, but the smell is a little too sweet for me so I’d be more likely to go for the Loreal Micellar again (I’ve tried this previously, it’s featured in my Empties Post here,) or the Avene one. All in all I’m quite happy with the cleansing collection I seem to have acquired. I have a few different types of product to switch up my routine when I want to. My next foray into skincare will be to get a few different face masks to try. Does anyone have an recommendations? I’m open to suggestions for different concerns: dryness, dehydration, scarring/blemishes, brightening. Let me know below and I’ll add them to my shopping list!